In conclusion to a fabulous Sunday Funday filled with sunshine, shopping, and dancing - my girlfriends and I went to Sunset Cantina to end the day with delicious sangrias and appetizers. Going to Sunset Cantina brought me back to my college days, most obviously because it's right on the BU campus. Every time I have been to Sunset, it's been nothing but sunny, vibrant, and full of youthful energy. 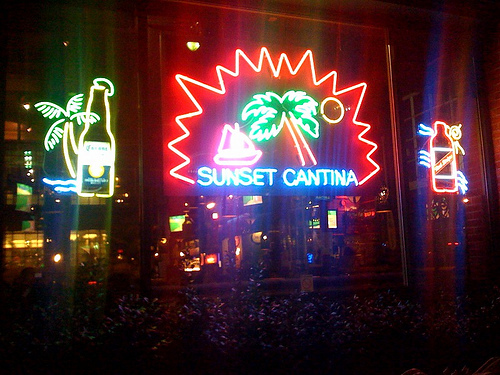 Sunset Cantina does a great job of creating a relaxing but fun ambiance for all nights of the week. 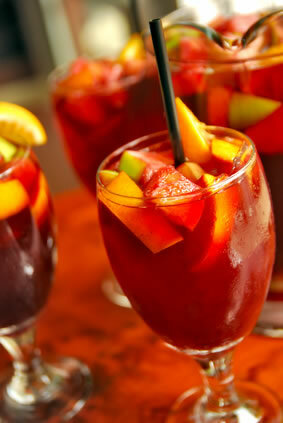 The sangrias were delicious and obnoxiously large (which is not a bad thing at all!) and the food was perfect for what we were looking for.